Creating scenic byways in Prince William County is a way to protect some of the beautiful viewscapes across our county. These byways also support our efforts to protect and promote the natural rural beauty of the Rural Crescent. Historic African-American community threatened by plans for an Amazon data center, transmission lines. The Carver Road community dates to 1866, when new laws that allowed freed slaves to own land were enacted. In June, the State Corporation Commission (SCC) authorized Dominion Energy to seize the land on which to build the towers, a move opposed by residents and local officials. The SCC recently announced it will reconsider its decision to allow the transmission lines proposed by Dominion Energy to cut through the Carver Road community. Scenic Byways Unveiled - A First for Prince William! 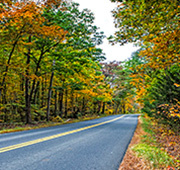 Thanks to the partnership formed by the Prince William Conservation Alliance, Prince William County Supervisors and the Commonwealth Transportation Board approved the designation of several important roads in Prince William County as the first Scenic Byways in the County, adding nearly 40 miles to Virginia’s Byways network. 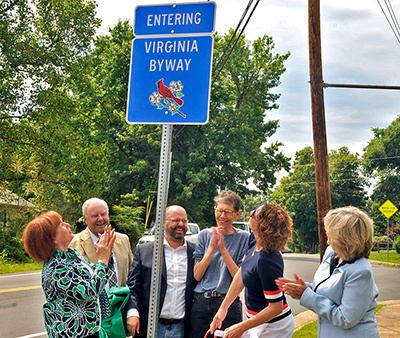 On July 11, PWCA joined Supervisors Maureen Caddigan, Jeanine Lawson, Marty Nohe, Ruth Anderson, and CTB Vice-Chair Gary Garczynski to celebrate Prince William's new Scenic Byways - a first for the County. “Recognizing our Scenic Byways is an important step in showcasing and protecting our unique natural and cultural resources, a legacy for future generations,” said Kim Hosen, executive director of Prince William Conservation Alliance. 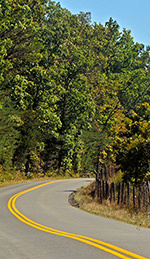 The county roads that make up the byways have idyllic views of 11 nationally recognized historic sites and two state-listed historic sites, as well as some of Prince William County’s most cherished places, including forests, mountains, working farms, historic homes, churches and cemeteries. The following roads make up Prince William County’s new scenic byways. In the words of Gary Garczynski, Vice-Chairman of the Commonwealth Transportation Board, “Although our Transportation needs continue to grow it is important that we strike a balance and preserve these scenic byways that make Virginia... Virginia!" A map of the roads and more information is available online here. Question: When should conservationists care about yet another boring long-range plan proposed by a government agency? Answer: When the plan proposes new roads designed to increase sprawl, open Prince William’s protected Rural Area to higher density development, and transform our natural landscape. The plan is TransAction, the Northern Virginia Transportation Authority (NVTA) long-range transportation "plan" for new projects until 2040. However, it's not a plan that can be implemented. It's a wish list of projects, unconstrained by financial considerations. Following the current TransAction exercise, NVTA does get real and will use the list of projects in Transaction to complete a Six-Year Action Plan, where real money is allocated to realistic projects. The next Action Plan is slated for approval in June 2018. 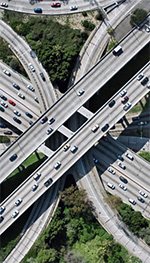 TransAction 2040 includes many new road construction projects, including the developer's dream of a new bridge over the Potomac River from Dumfries to Maryland. 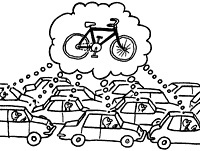 There are relatively few transit improvements for Prince William; NVTA proposes to pave our way out of congestion. We've been building new roads since the Shirley Highway reached the Occoquan River 75 years ago - hmm, think it's working and even more pavement is the solution? Read the list of projects and submit your comments, due July 23, here. Most surprisingly, the TransAction plan includes the Bi-County Parkway. Prince William County Supervisors have removed that project from our Comprehensive Plan because it solves no problems but would incentivize the conversion of farms to houses. If you think local priorities should affect regional and state planning, now is the time to speak up. Also of concern is the absence of a public meeting in Prince William, where citizens can view maps, ask questions, and share views. 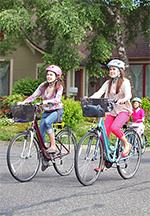 Instead, the NVTA is scheduled for a presentation at the 2pm Board of Supervisors meeting on Tuesday, July 18. According to the BOCS Agenda, Citizens Time will follow the NVTA presentation creating a three-minute opportunity to share your views with Supervisors but restricts opportunities to ask questions and excludes everyone who will be hard at work on Tuesday afternoon. As always, decisions are made by the people who show up. Email Prince William County Supervisors. Urge them to honor our Comprehensive Plan by removing the Bi-County Parkway and proposed bridge across the Potomac River from TransAction. Request their action to ensure a public meeting for Prince William citizens.